If you’d like to visualize your music, VU meters make an excellent tool. 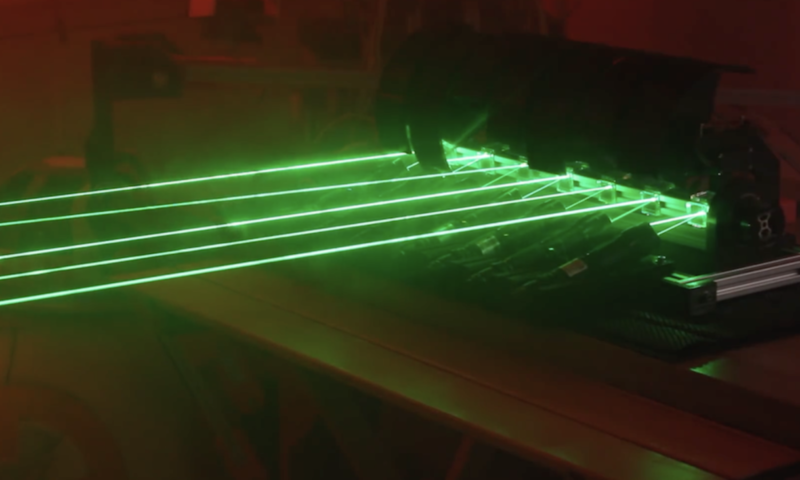 While they are generally built into audio equipment, maker James Bruton had the idea to construct his own using lasers. His setup features an MSGEQ7 module to separate sound frequencies, sending data on seven different ranges to an Arduino Mega board. The Arduino then uses this information to selectively lower seven shutters via servos. When lowered, these shutters hide part of the lines formed by lasers and a spinning mirror assembly to indicate each sound frequency’s intensity. The resulting machine not only effectively projects a visual of the music playing on a nearby wall, but also looks like some sort of mythical beast or contraption, progressively waving its appendages while emitting eerie green light! Although this kind of project can be fun, be sure to wear the proper safety equipment when dealing with powerful lasers! Amazing idea! would love a circuit schematic and code though. 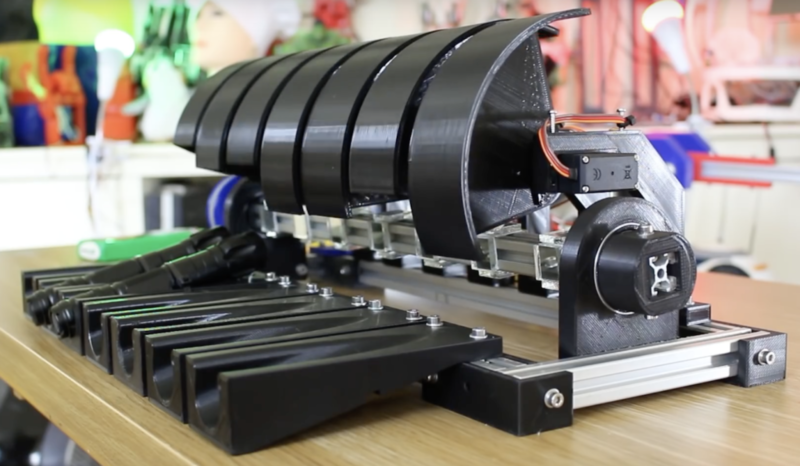 Of course you realise that simply modulating the laser lights in sync with the mirror rotation would have achieved exactly the same result without the need for moving screens and servos, resulting in smaller material cost, much less mechanical components to fumble with, easier implementation… and less noise in operation.